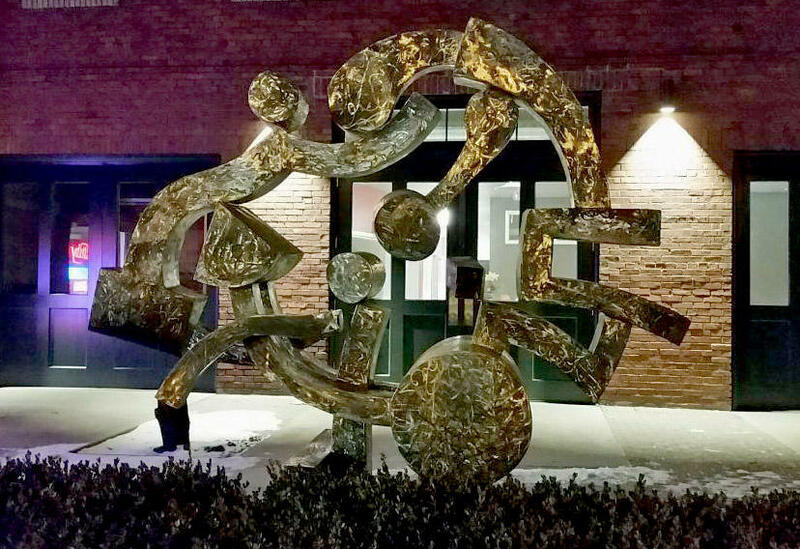 Evening light highlights the grinding on the steel surface of "Listen," the Harold Balaze sculpture installed in Spokane Public Radio's courtyard thanks to the Harriet Cheney Cowles Foundation. 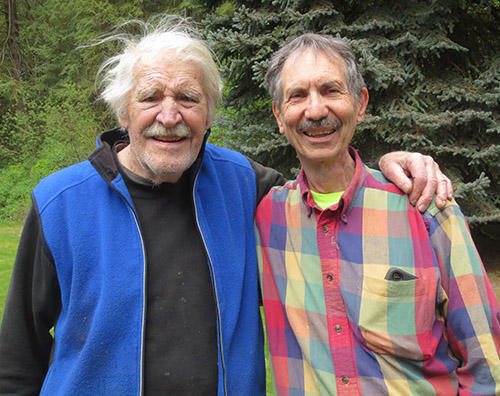 Harold Balazs and Verne Windham are good friends, and Verne checked in regularly on the progress of "Listen." 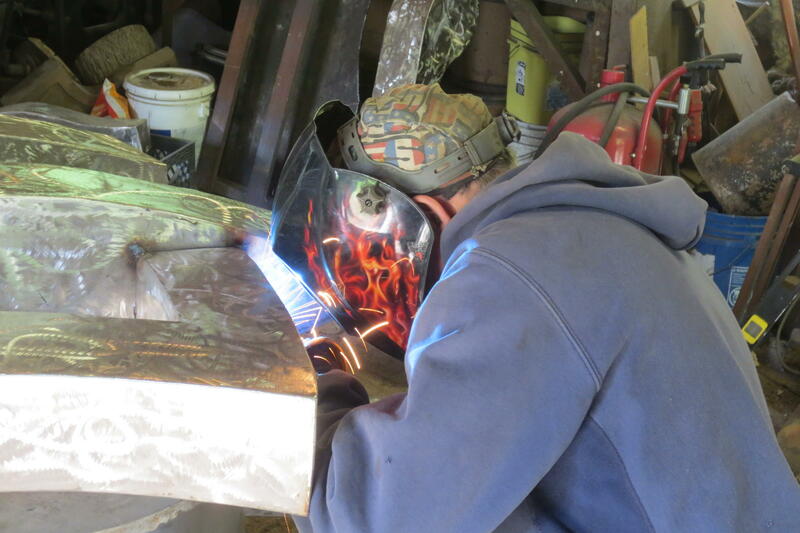 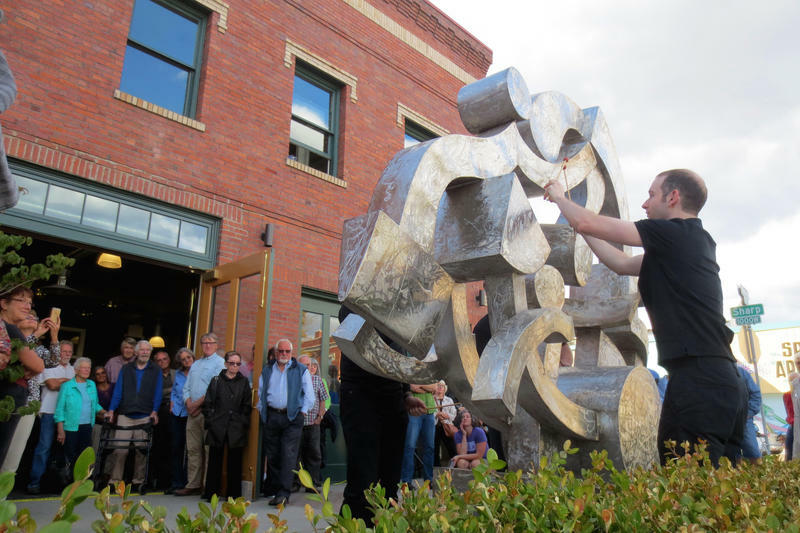 Balazs's relative Kurt welds pieces of "Listen" together in April 2015 at the Balazs art studio.